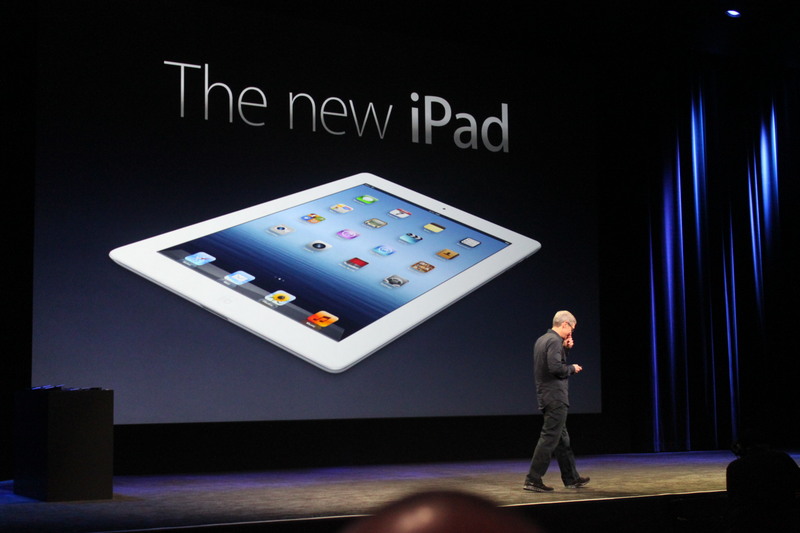 At a press conference in San Francisco today, Tim Cook unveiled Apple’s latest tablet, the new iPad. It has a 2048 x 1536 Retina display at 264ppi and an Apple A5X chip with quad-core graphics, probably using the same GPU as the PS Vita. The device comes with a toned-down Siri and support for LTE networks, along with a 5MP iSight camera on the rear that shoots 1080p video. There is most definitely a home button on the device, slightly thicker and heavier than its predecessor, the iPad 2. Pricing remains the same and it will launch worldwide, including in the United Kingdom, on March 16th. Liveblog! Liveblog! Get the news from Apple’s event as it happens! iPad? Apple TV? Find out here at 6PM GMT! What do we expect from the iPad 3? Apple are set to release the next iPad at a San Francisco press conference tonight and the question running through every Apple lover’s mind is simple: what’s going to be different?